Wisdom of Life. : Know your strength & mistakes from your clients. Selling tips for my fellow colleagues. Each time I closed a case, especially a new client, I would try to assess his strength and his weaknesses. 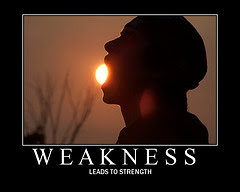 I compliment his strength but also advise his weaknesses if there are. It is easy to offer goodness to another but not many darn to highlight another person weaknesses. Close friends will offer both assistance. If you are truly a sincere agent, you should not be afraid to compliment and advise at the same time. If it is done tactfully with professionalism, your client normally would appreciate your endeavour. Finally before I leave, I would always ask my client whether he is happy with my services. In order for me to improve my services, I would be glad if he could be frank to outline my strength too. By telling my strength, I could capitalize further on them. However I wish also to know whether I had made any mistakes as well. Telling my mistakes or defects are one way I could correct myself. I assure my clients, I would never feel offended in any way, if they could provide these plus and minus in my selling. Their comments are always benefiting and rewarding to our relationship building. Conclusion: clients and agent would learn much from each other. It reflects the maturity of your personality. You develop a greater confidence within your clients. Confucious said, "Everything has beauty, but not everyone sees it." I will remember to do this in future each time I close one deal. I am glad you take my advice. Thank you for reading my blog. Please do come back again. I am going to be trained to be an agent soon, and it is the toughest decision to make, none of the people around me have good comments for me. I have 3 more modules/papers to pass for general insurances, and is leaving a deskbound job for this unknown career future. Your blog is very inspiring and emaning for newcomers like us. I am glad u are back. Welcome to our selling world. If you open your eyes and ears from now onwards, you will learn things you have not learned before. Don't be afraid to ask those you interact with. Remember mistakes are your teachers of life. Know your mistakes and learn from them at the sametime. I am happy my blog inspired you. Keep reading them. Thanks for your sincere comment too.